Is This Google's Nexus 10 Tablet? 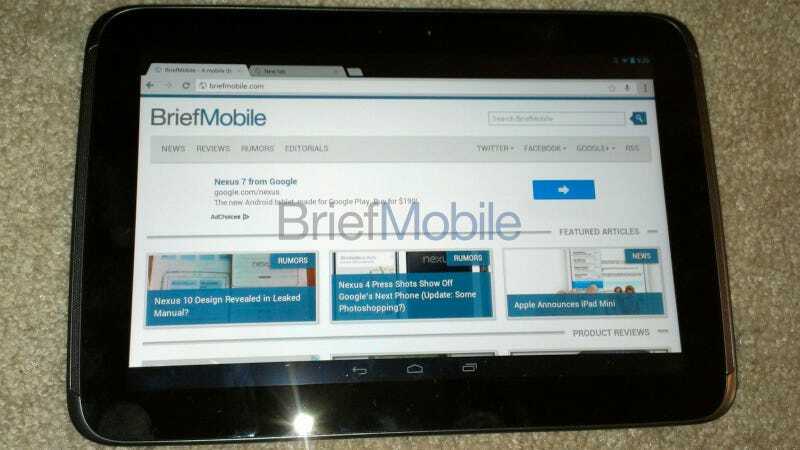 BriefMobile got its hands on what it says is the upcoming Google Nexus 10 tablet. Supposedly manufactured by Samsung, the tablet is said to have a dual-core 1.7GHz Samsung Exynos processor, a 2560x1600 retina-grade display, 2 gigabytes of RAM, 16 gigs of storage, a 5 megapixel camera, NFC, and Android 4.2, which is still called Jelly Bean.